4 Most Common Valentine's People - Which One Are You? 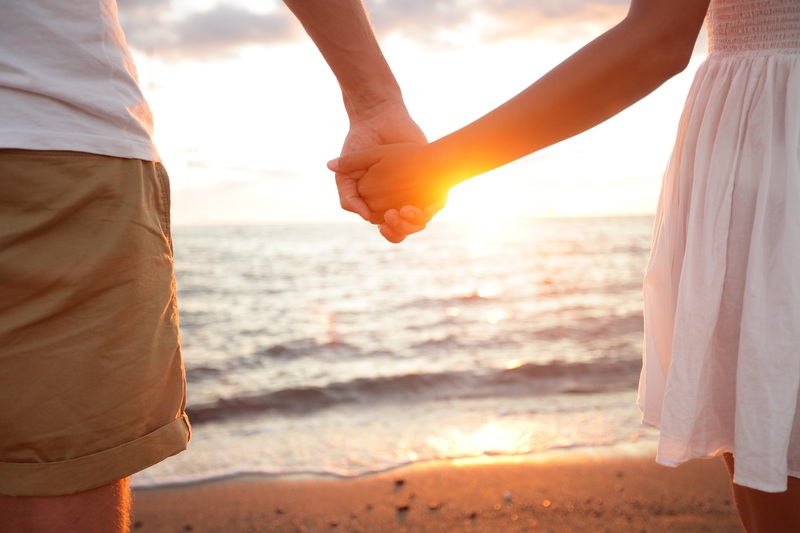 4 Most Common Valentine's Date Night People - Which One Are You? Valentine’s Day. We’re generally told that when it comes to the fourteenth of February, most of us sit firmly in one of two camps: you either love it, and go all-out with rap-star levels of extravagance - mountains of roses, enough Champagne to fill Sydney Harbour, and mammoth-sized boxes of chocolates… or, you hate it, and choose to spend the whole 24 hours seething with bitterness and attempted indifference. Of course, the reality for most of us is far more subtle, and there are plenty of us who sit awkwardly between the two extremes. The majority of couples out there who choose to mark the occasion do like to make a bit of an effort on Valentine’s Day. For the men among us, it’s almost an act of insurance and self-preservation. Sure, she says she’s not bothered about this particular calendar date, and that we probably shouldn’t bother with buying gifts or going out for dinner. However, we all know that to ignore it completely is something of a risky business that leads to getting the cold shoulder for the weeks to follow. Man, dating can be hard work at times. 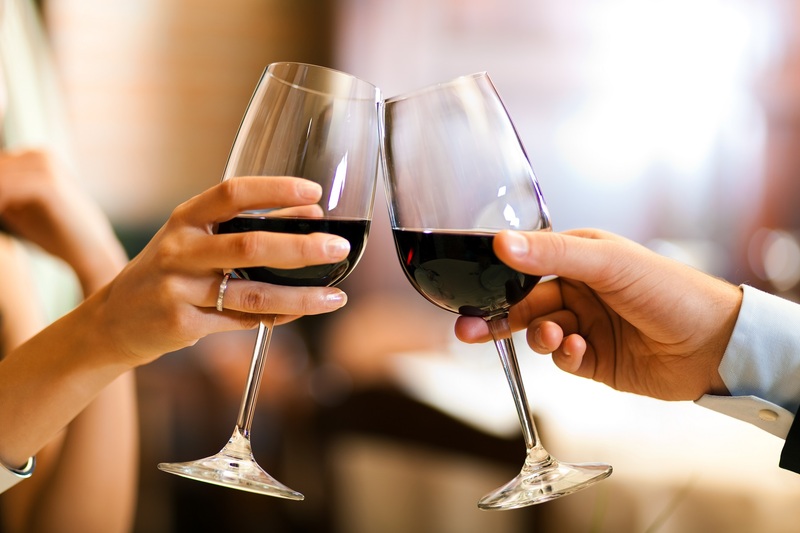 Here at The Wine Gallery, we know that a perfect date at any time of the year requires little more than a great bottle or two of vino, some good tunes on the stereo, and maybe a further pair of bottles on standby (you know, just in case). While this works perfectly well for us, we know that the world is a wonderfully varied place, and the dance of love and courtship takes many different forms. As such, we’ve put together what we think are the four key types of Valentine’s Day Dinner Dates and how to spot them… and we’d love to know which category you think you fit into! You’re a busy, working couple, and the chances are you’ve been together for some time already. 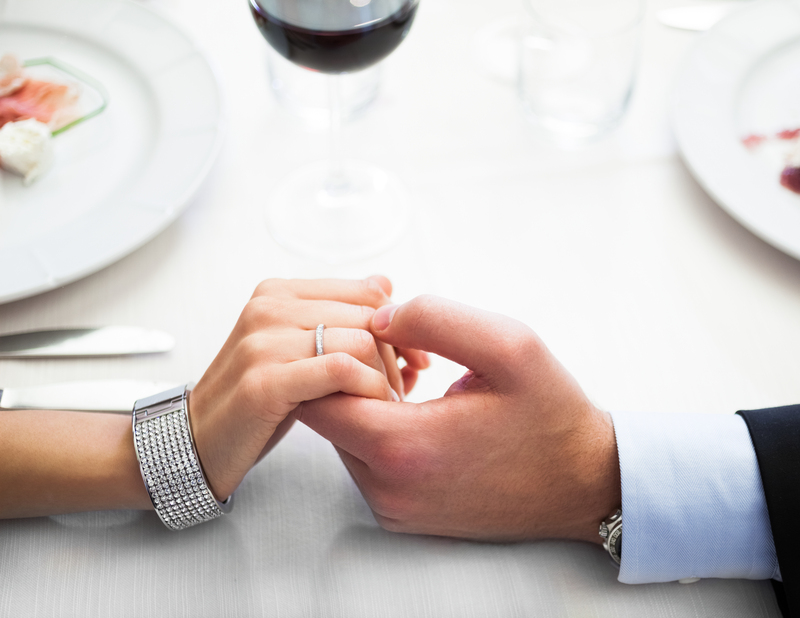 The initial giddy rush of romance might have faded a little in recent years, but you’re still up for marking the occasion with an evening out together. But… February the 14th has rolled around again, and - dammit - you’ve forgotten to book a table at that restaurant you used to go to back in the day when you still bothered to iron your shirts and splash on a bit of cologne before meeting your partner. Never mind; you’ll step out into town with your partner regardless, and see what you can find. Surely there’ll be a half-decent restaurant with a spare table for two out there… won’t there? Valentine’s date type no.1 is pretty easy to spot if you’re out and about on this particular evening of the year. They’re the couple that burst into restaurants, looking slightly ruffled, and walk out again fairly rapidly after being told that - of course - the tables have been fully booked for at least a few weeks in advance. The night ends for this type of date with a taxi ride home, followed by a quick order with Uber Eats. And then? An evening cuddling on the sofa with a box set, some properly satisfying food, a few too many glasses of wine… and the knowledge that this is just as good - if not even better - than anything a fancy restaurant could manage. Let’s do it all again next year. The second in our list of date types is the one that puts the rest of us to shame. Whatever their motivation - be it genuine romantic fervour or the fact that they might be overcompensating for something - they have no problem with flashing the cash on Valentine’s Day and sorting out the fanciest dinner date they can muster. This type of Valentine’s Day date can be seen at the swankiest restaurants (which they put their name down for just after New Year’s Eve), dressed to the nines and ordering from the heart-stoppingly expensive bottom end of the wine list. Whoever it is that they’re taking out for the night will doubtlessly be a little overwhelmed, picking at something delicately arranged on their plate, and - quite possibly - wondering whether or not it would it would be rude to stop for a burger on the way home. I reckon that the majority of us probably sit firmly in this particular category. The number three’s are those couples who make a real effort to appear nonchalant and indifferent as soon as the first Valentine’s chocolates start appearing in the shops… but secretly, they’ve been taking crafting classes on the sly, keen to make the perfect Valentine’s card to melt their partner’s heart. Those of us in this camp go to real efforts to pretend that Valentine’s Day is beneath us. We’ll spout on about the commercialisation of romance, how our relationships are to be celebrated every day of the year, and not just when the chocolate industry tells us to. We’ll tell our partners that we’re just going to see where the night takes us, knowing deep down that it’s one of our favourite days of the year, and that we’ll always pull it out of the bag no matter how much we’ve been deriding it. This type of Valentine’s Day date can be spotted pretty easily. They’ll be eating at those restaurants that avoid the overly flashy and extravagant, but which we all know do the best damn food in town. A single red rose sits on the table next to a handmade card, and instead of feeling nervous, sitting stiffly or self-consciously ordering a salad, they’ll be having a proper good laugh and enjoying each other’s company. Ain’t love grand? We can all remember being this type of Valentine’s date. If you’re in this category, then you’re in a new relationship, or have been steadily dating somebody for a relatively short period of time. You haven’t yet established yourselves as a proper couple… but February has come around once again, and you have to tread pretty carefully in order to get things right. On the one hand, you don’t want to come on too strong. This isn’t the occasion for grand gestures of undying love… for no reason other than you don’t want to scare your date and have them running for the hills. At the same time, though, you can’t exactly do nothing - can you? The problem this type of date is facing is one which is probably familiar to most of us. The reality is that you’re both pretty into the whole romance thing, and really wouldn’t mind pulling out all the stops and sweeping your partner off their feet. A delicious meal somewhere, accompanied by a top bottle of wine and finished off with a walk to somewhere secluded where you can watch the sunset… it’s the kind of thing you’ve been dreaming of for some time. The issue is that you don’t know this other person quite well enough yet to be able to ascertain whether or not they’d be into it, and the last thing you want is to be the one trying too hard, or worse - rushing into things too soon. How do you spot a number four when you’re out on the town? They’ll be the ones looking nervously at each other, wondering whether or not to buy that massive bunch of flowers they’ve seen on the way to the restaurant. Our advice? Go all in, and have the kind of date you really want. Throw those inhibitions aside, and have a bit of fun. Trust us - even the most cynical people in the world enjoy a bit of romance every now and then, and if doesn’t go to plan, you’ve only got 365 days until you can do it all again! Now, let's get your Valentine's Day gifts sorted! Check out our fun selection of gifts here.